Are the gloves off among Democrats? The gubernatorial race could be changing right now - Denverite, the Denver site! The ad seems to signal a shift in the race that has offered few opportunities to see differences between the top three Democratic candidates (but there are more opportunities coming very soon). May. 31, 2018, 8:15 a.m.
Gov. John Hickenlooper is disappointed. The governor — who famously released an ad about not running negative ads during his 2010 gubernatorial run — doesn’t like a television ad released Tuesday by Teachers For Kennedy, an independent expenditure committee supporting former state treasurer and fellow Democrat Cary Kennedy’s gubernatorial run. It appears to be the first negative ad in what is now the final month of a closely contested Democratic primary. The 30-second spot is being called an attack ad by fellow Democratic gubernatorial candidates Mike Johnston and U.S. Rep. Jared Polis, who are claiming the spot violates the Clean Campaign Pledge signed by all three candidates. 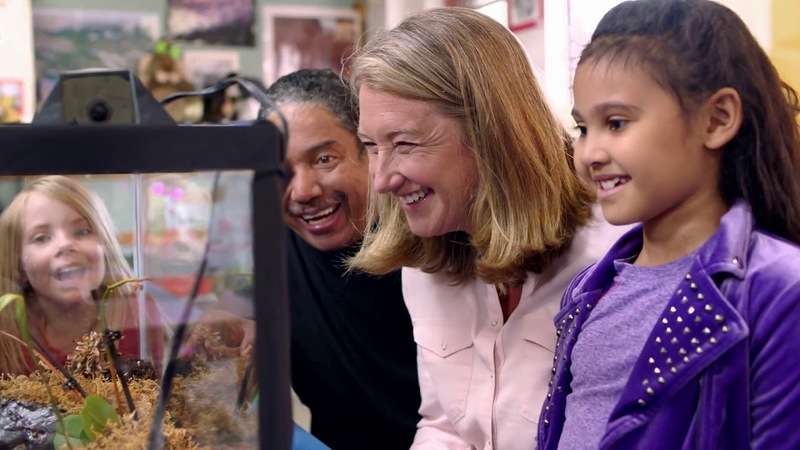 The ad targets Johnston’s and Polis’s record on education, while highlighting how Kennedy has supported educational initiatives. The subject is a hot topic in Colorado, which was one of the state’s that saw thousands of teachers and their supporters rallied at the Capitol in April. Kennedy said it wasn’t her ad — but defended the group’s right to create it. Kennedy said in a statement earlier on Wednesday that she was honored to have the support of teachers, whom she said have the desire to make schools better. “They took a close look at the candidates running for governor, asked hard questions, and decided my vision for education and record would best serve the students of Colorado,” Kennedy said in the statement. “They produced this ad independent of my campaign and I cannot legally coordinate with them. “I’ve pledged to keep my own campaign positive and I encourage all of the independent groups including those supporting my candidacy to do the same,” Kennedy added. The first 15 seconds of the ad include overly-exposed, black and white photographs of Johnston and Polis and a serious-sounding voiceover describing how the two have allegedly supported choices negatively impacting education. The voice changes to a much more sprightly intonation when it starts talking about Kennedy (also, music!). Both Johnston and Polis said the ad makes false claims. Johnston’s camp called claims in the ad misleading, saying that it mischaracterizes SB-191. “SB-191 was part of a broader set of improvements initiated by Democratic Governor Bill Ritter and endorsed by two Democratic former Governors, the American Federation of Teachers, the NAACP, and Padres Unidos, among many other individuals and groups,” Hanover said. The Polis campaign issued a statement responding to the ad on Tuesday, calling it “Cary Kennedy’s Attack Ad,” and labeling it false. Polis’s campaign spokesperson Mara Sheldon said in the release Kennedy is “turning to desperate and false negative attacks instead of putting forward a positive vision for the future of Colorado.” The statement included messages from former teachers supporting Polis and his work in education. The ad claims Polis supported a 2003 bill signed into law by then-Gov. Bill Owen, but Polis’s campaign said he did not ultimately support the final passing of the bill despite initially saying people should have an open mind about it. (He was then serving on the state board of education.) His campaign said Polis has a long record of voting against vouchers in Congress, dating back to 2011. Teachers for Kennedy has so far raised more $1 million for Kennedy’s campaign. The independent expenditure committee quotes two teachers in their release announcing the ad, which they said will through the Primary Election on June 26. State records show the committee had raised $1.35 million in donations through the most recent filing period. The money was raised from three sources: Colorado Fund for Children and Public Education, based in Denver ($400,000); Love Colorado, based in Denver ($150,000); and Women Vote!, based in Washington DC ($800,000). We’ve reached out to a spokesperson for the committee for additional comment.